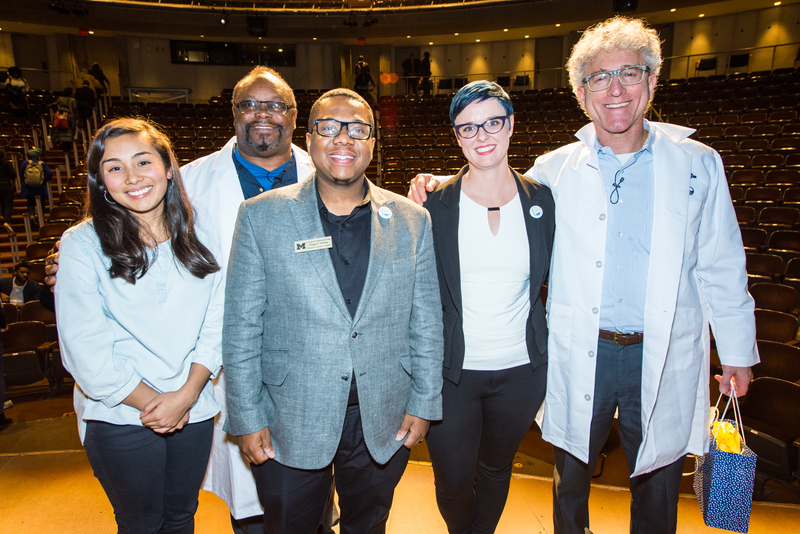 On Tuesday October 23rd, 2018 the Office of Graduate and Postdoctoral Studies (OGPS) and the Endowment for the Basic Sciences hosted Ron Jones and his team for a faculty/staff workshop and campus wide performance titled Dialogues on Diversity in Science. This event was able to take place due to a mini-grant awarded to OGPS by the Office of Health Equity and Inclusion. Ron Jones is an EMMY award-winning actor and diversity trainer who fights social injustices through performance and interactive workshops. 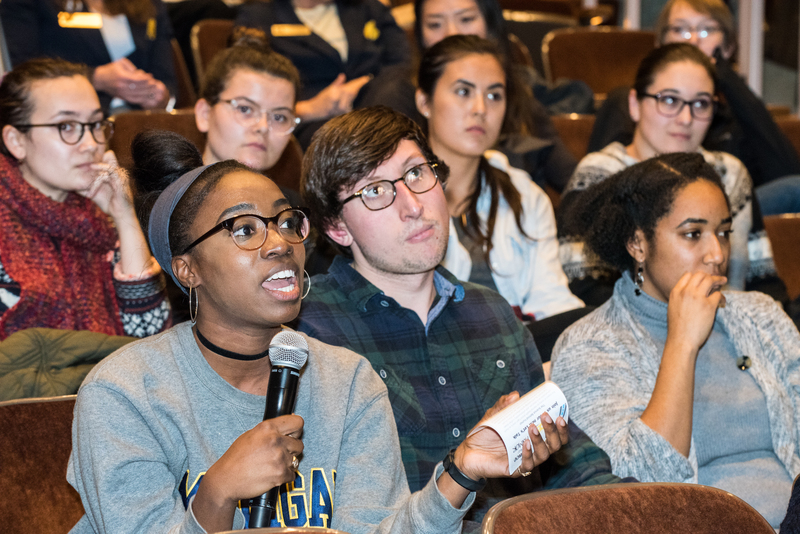 During a morning workshop held at the Medical School, faculty and staff stepped out of their comfort zones to discuss how they can come together to improve the DEI climate on a daily basis. Ron Jones emphasized how diversity is a discipline. Diversity and inclusion are not just theories but more so actions, and it takes work and compassion to truly affect change. His team focused on scenarios that are typical in the sciences, where one or more parties can easily silence someone’s voice, even if it’s unintentional. 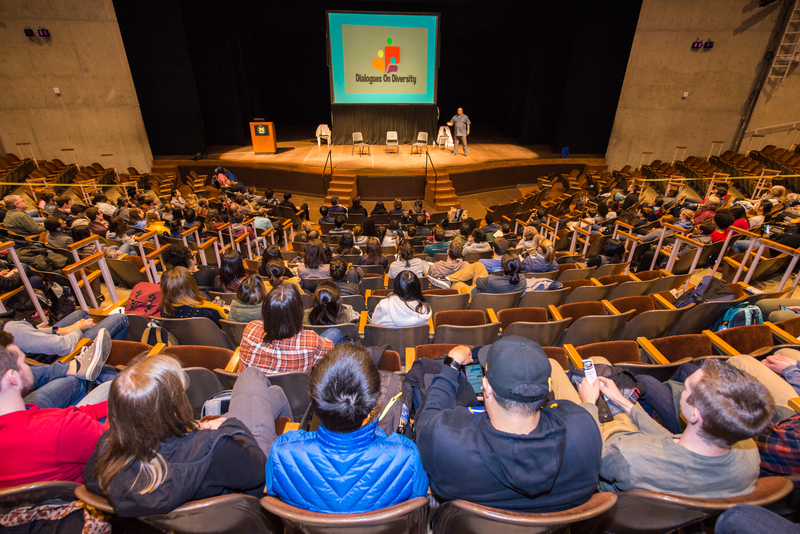 There were jokes and lighthearted discussions to start, but then attendees participated in activities that moved the discussions past the surface and required deep self-reflection. Each participant was able to take away a small plan of action that they can work into their personal and professional life. 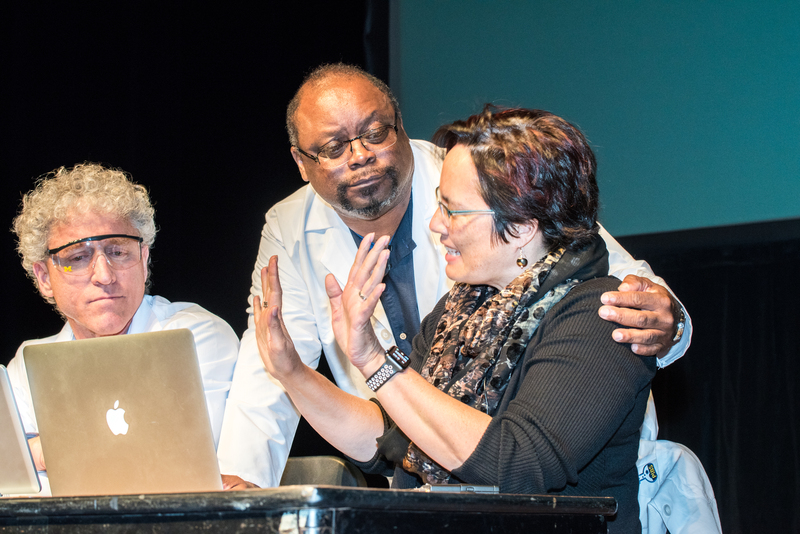 The evening session was held at the Power Center and was part presentation, part theatrical performance with the goal of inspiring healthy conversation around diversity, equity, and inclusion in the basic science community. It was thought provoking and at times encouraged attendees to be comfortable talking about topics that aren’t always comfortable. This was purposeful in the sense that in order to make positive changes, we need to see and understand these uncomfortable situations first hand. The performance started with an interactive Q&A that perpetuated the message of dominant versus non-dominant cultures and how we might not be in control of our own narrative. This was followed by skit style performances where the trio of actors and actresses not only encouraged the audience to make suggestions to improve the situation, but to actually get on stage and test their ideas. 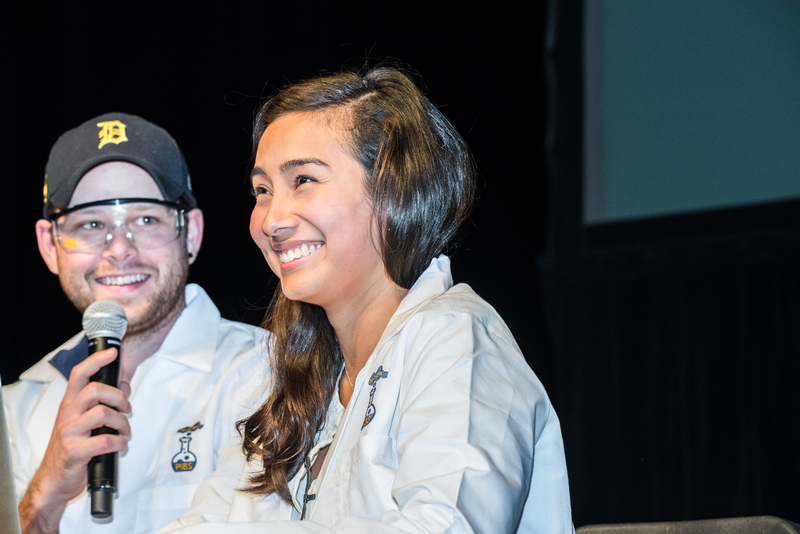 The responses from the audience after each skit were full of emotion indicating how relevant these topics are in the sciences. Even though the event ran over in time, deep conversations continued well into the reception. 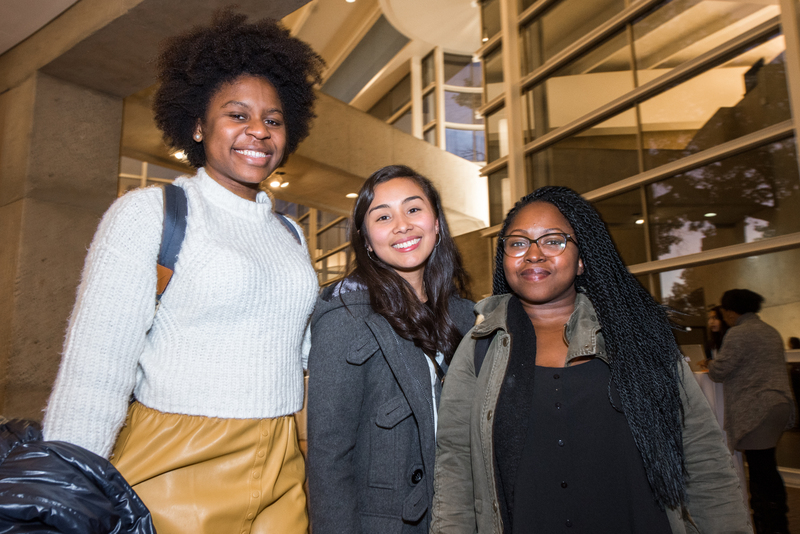 While each attendee’s experience was different, it was apparent that everyone gained something valuable from the performance.